The Royal Ballet School will open a new Associate centre in Dundee in September this year, offering weekly Junior Associate classes to encourage and support talent more widely across the UK. The new Dundee centre will see that all students who apply will be offered an audition, taking place in June. Royal Ballet School Associates attend classes alongside their regular local ballet classes. These new Junior Associate classes will be for young dancers in Scottish school years 5, 6 and 7. 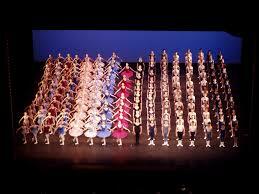 There is no set grade that dancers must have reached or a minimum number of years’ experience to apply. The centre will offer fortnightly classes throughout the academic year at Dundee and Angus College, with 18 sessions in total. Classes will be led by Royal Ballet School-trained ballet teachers with up to 32 places available in 2019. The Royal Ballet School is one of the world’s greatest centres of classical ballet training which for generations has produced dancers and choreographers of international renown – from Margot Fonteyn, Antoinette Sibley, Anthony Dowell, Anya Linden, Darcey Bussell and Kenneth MacMillan, to a new generation currently making its mark on the world stage – Matthew Ball, Lauren Cuthbertson, Francesca Hayward, Steven McRae, Liam Scarlett, Edward Watson and Christopher Wheeldon to name but a few. Admission to the School is based purely on talent and potential, regardless of academic ability or personal circumstances. 90% of current students rely on financial support to attend the School. The School’s mission is to nurture, train and educate exceptional young dancers for the Royal Ballet companies and other leading UK and international companies, and to inspire the future of classical ballet training. Its extensive Training and Access Programme aims to broaden access to The Royal Ballet School’s unique resources for primary school pupils, dance teachers and the general public.